As of September 1938, the number of insurgents had dwindled to an estimated 10,000 combatants as a result of years of fighting and privation. 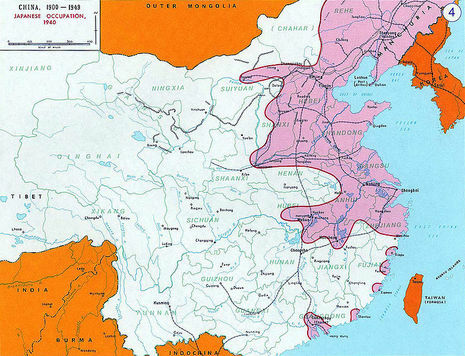 The Kwantung Army then brought reinforcements with a plan to mop up the remaining anti-Japanese forces in Fengtien. This operation gradually produced a critical lack of supplies, and from January to mid-February 1940 Yang Jingyu led the struggle until he died on February 23, 1940 trying to break out of the encirclement when an officer betrayed his detachment. With its strongest armies dispersed or destroyed and its base areas pacified, the remnant resistance fighters, including Kim Il-sung, were gradually forced to retreat into Siberia between 1940 and 1942. In November 1941, Li Zhaolin entered the Soviet Union. By July 1942 Zhou Baozhong followed. Finally on February 12, 1942, Zhao Shangzhi was captured by Japanese military police after being attacked by one of their agents, and later died. Zhao Shangzhi was born in Chaoyang, Liaoning Province, China. He participated in the "May 30 Movement movement" in 1925, and joined the Communist Party of China in the same year. In November 1925, he went to study in the Whampoa Military Academy in Guangzhou. After September 18, 1932 he took the charge of the CPC Manchuria military. In October 1933, he was in charge of Zhuhe anti-Japan guerrillas, and was promoted to commander of the Northeast Anti-Japan United Army in 1934. On February 12, 1942, he was captured by Japanese military police after being attacked by an agent provocateur, and died later at the age of 34. To memorialize him, the city of Zhuhe where he used to fight against the Japanese was renamed to Shangzhi.